An expanding academy trust is backing its chair despite the government referring his giant private training provider to the police following a second investigation. 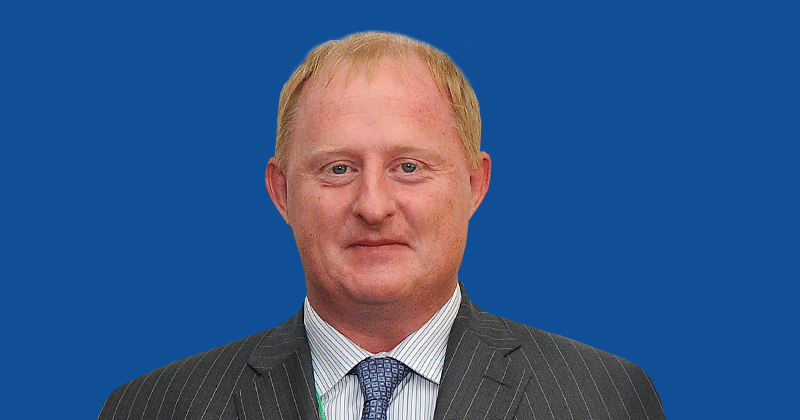 Peter Marples (pictured), a multi-millionaire businessman who co-founded 3aaa in 2008, joined the Spencer Academies Trust in December 2015 as a trustee and became its chair in the 2016/17 academic year. He also heads the trust’s resources and remuneration committees. Since launching in 2011, the trust has grown to sponsoring 12 schools. This month it took on four more and will take on another one next month following a “merger” with the Trent Academies Group. Mr Marples resigned from his position at 3aaa last month in the midst of a second Education and Skills Funding Agency investigation, but continued to be its joint majority shareholder with co-founder Di McEvoy-Robinson. The Department for Education has now referred their investigation findings to the police through Action Fraud. 3aaa has since gone into administration after the department pulled its skills contracts – which totalled over £31 million last year. More than 500 jobs and the future of 4,500 apprentices are at risk. 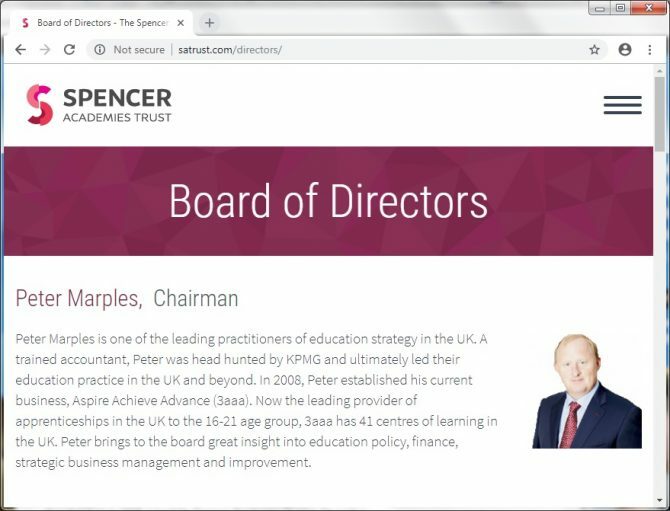 Despite the scandal, the Spencer Academies Trust appears to be fully supportive of Mr Marples. When asked for comment, the DfE said it was a matter for the trust. “Appointments to positions within academy trusts are the responsibility of the trusts themselves; academy trusts must make sure they comply with the terms set out in both their funding agreement and the articles of association, both of which consider suitability tests for key personnel,” a spokesperson said. FE Week made multiple attempts to contact Mr Marples but he did not respond. He has taken down his LinkedIn and Facebook page in the last couple of days. According to the trust’s accounts for 2016/17, 3aaa supplied “apprenticeship services” to the Spencer Academies Trust to the value of £11,600, which was “subject to normal procurement procedure”. The Trent Academies Group will now operate under the Spencer Academies Trust name following the “merger”, and will be “led by” chief executive Paul West and Mr Marples. The enlarged group will comprise 18 schools which will teach 17,000 students across Nottinghamshire, Derbyshire and Leicestershire. The trust said that with anticipated future growth, including the construction of new schools, “nearly 20,000 East Midlands’ pupils and students will be educated in the trust by 2020”. This was the second government investigation into 3aaa. The first, carried out in 2016 by auditing firm KPMG, found dozens of success rate “overclaims”. Despite the findings, the DfE awarded the provider £7 million in growth that year.